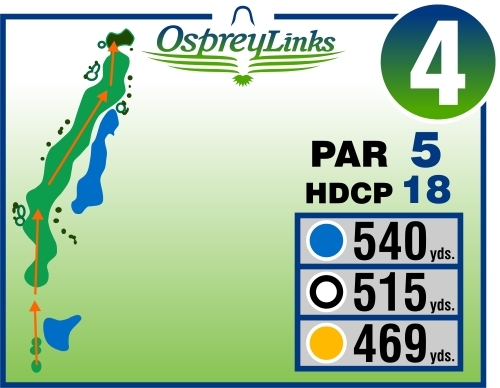 The Fourth Hole will be your second par 5 of the nine and rated the easiest hole on the course, but sometimes ratings can be deceiving. Safe to hit driver off the tee, but be wary of the pond just over the rise and that skirts the right side of the fairway and is reachable off the tee. At the same time be aware of the out of bounds that protects more homes situated along the left boundary of the fairway.